Home » Zagreb, 21 December 2010. “The United States firmly support Croatia’s accession negotiations with the EU as well as the fight against corruption, regardless of the consequences for any given individual,” said US ambassador James Foley during his meeting with the former President. The meeting was held after the US ambassador proposed it and it lasted for one hour in a sincere and open atmosphere. “US-Croatian relations had their ups and downs during an extremely important decade in which you were leading the country, we agreed on some issues, while on others we did not, but it was still a decade of cooperation, and we can look back at the results we achieved with pride,” said Foley. He recognized the efforts made by President Mesić aimed at advancing democracy in Croatia and at strengthening regional cooperation. 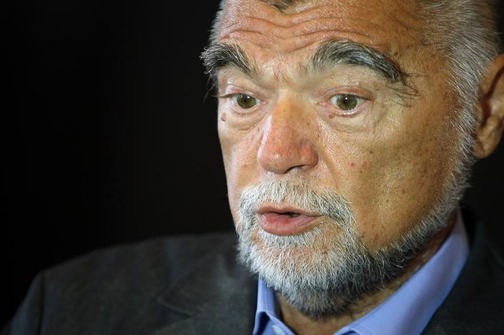 Former President Mesić offered his assessments of the situation in the region and in Croatia. He again stressed how neighboring Bosnia and Herzegovina must draft a new constitution, or upgrade the Dayton Agreement through a new international conference in order to allow the country to function properly and ease its path towards a united Europe. He also expressed his concerns over the policies of Republika Srpska and added that the solution for that lies in Belgrade. “It is necessary to, in terms of the perspective of the region, understand that its architecture is final and that the borders cannot be changed anymore,” said the former President. As far as the situation in Croatia, Mr. Mesić expressed his opinion that the reconstruction of the Government would be welcome and he also stated his optimism regarding the prospects of completing the EU accession negotiations during its mandate.